Before we go into the review I need to make a few disclaimers. I’ve got to know Julie Lawford through social media and she has written some very lovely reviews of my books. 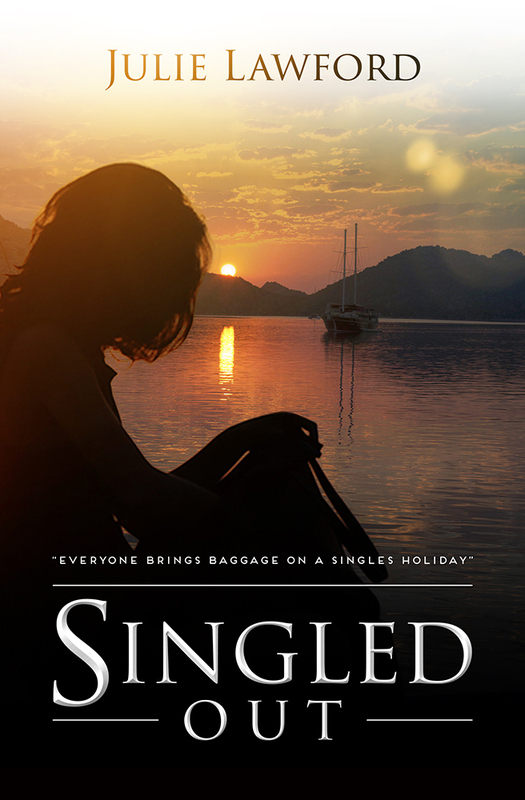 Also, she beta read my second book and I beta read an early version of Singled Out. This has had no influence on my review but as a reader you I feel this is something of which you need to be aware. That said, as anyone who has beta read a book knows, a book at that stage is a very different beast to the final product and I had a number of issues with it at the time. This meant I approached reading the finished version of Singled Out with some trepidation. Luckily, I needn’t have worried. In Singled Out, Lawford allows us to join a motley crew of mature singles as they head for a holiday on the Turkish coach. But as the opening scene in the book suggests, not everybody in the group are who they seem. If you’re going on beach holiday and you’re a lover of creepy, psychological thrillers, then this is the book for you. In it, Lawford allows us to experience the full delights of a Mediterranean break, with the foods, the sights and the nightlife being described with a delightful richness to stimulate all your senses. The characters are recognisable but not stereotypical, and with Brenda Bouverie the author has created a wonderful protagonist, very different from anybody I’ve read before. She’s wonderful combination of her the sensuous, with her love of food and drink; the steely, but with an underlying vulnerability that makes her a very special character indeed. This is not, however, a book for the feint-hearted. The assault scenes in particular, while very well written, don’t pull any punches, but for me that’s as it should be. Horrible things should be portrayed as horrible. And it makes you all the more engaged in the search for who’s responsible. What I loved most about this book is the exploration of moral grey areas. there is a particular dilemma that Brenda faces which you have no idea which way she will turn to almost the final page, and even then it’s difficult to tell whether the right decision was made, depending on your own viewpoint. This was very well done. Overall, I would recommend this to anyone who enjoys their thrillers to be a little dark and edgy, but with some warmth thrown in. Oh, and foodies. This is a great book for food lovers. Dylan Hearn, author of the excellent Second Chance and Absent Souls, has honoured me by featuring Singled Out in his Recommended Reads thread, with a generous and positive piece. I blush. As you know, I enjoyed this book too. Very rich descriptions, and I absolutely loved Brenda. Great review. Brenda’s a wonderful lead character. I’d love to know what she does next (or even what she’s done before)! Thanks for the recommendation, Dylan. It looks like my type of read, so it’s a sale!